Learn Market Online > Education > Financial markets > Stocks > What are different types of Stocks? This article will be focused on discussing the different types of stocks that an investor can own. 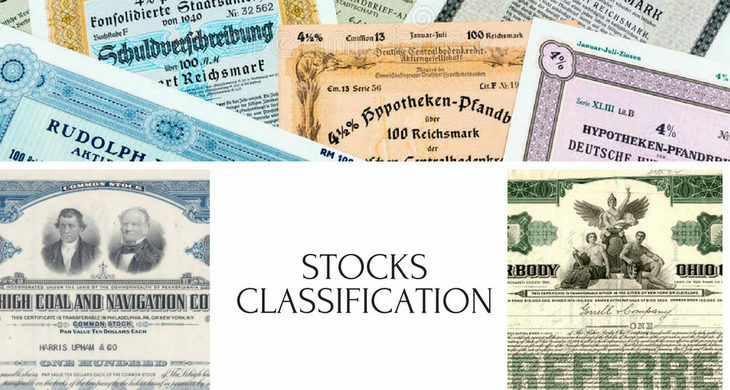 There are different ways of classifying stocks that can be useful if understood. Among them are, classification based on ownership, company style, based on size etc. Now let’s dive a little deeper to understand each of these classifications. What is common stock? When you hear most people talk about the stock market, they are usually referring to the common stock market. It represents ownership in a company and a claim on a part of the companies total worth. It is also possible for common stockholders to vote into office the board of directors of the company. From a historical point of view, common stock has produced higher investment returns that most of the investment options out there. The downside is that if a company goes into bankruptcy, creditors, bondholders, and preferred shareholders will receive their money before common shareholders do. This can be rectified by owning different well-established stocks that have very solid financial statements and a reputation for profitable earnings. What is preferred stock? This type of represents also represents some degree of ownership in a company but does not come with voting rights as common shareholders. Investors of preferred shares have a guaranteed fixed dividend. One advantage that preferred stock has over common stock is that in the event of bankruptcy, preferred shareholders and debt holders will be paid off before common shareholders. This is one difference between common and preferred stock. It is important to understand that each company that issues stocks has its own special plan 4 growth and distribution of dividend. Income stocks have a practice of paying a regular quarterly dividend to shareholders. Most of the companies that deal in income stocks are high-quality and well-established with a reputation for making strong profit. Most retirees usually buy these stocks to ensure a steady income in the form of dividends. When you aggregate the dividend payments and the appreciation in stock price, you realize that these stocks usually provide retirees with more money than they would have earned if they were to invest in bonds or other fixed-income investment options. Value stocks are usually characterized by one or more of the following. The ratio of price to earnings is low. In simple terms, these stocks are usually underpriced in comparison to other similar companies in the stock market. This is sometimes due to issues with management, finances, investment sentiment and cyclical trends. Regardless of what the reasons are, it is clear without doubt that value stocks have outperformed growth stocks over the past years. These are stocks that belong to companies with increasing profit. The increase in profit is usually followed by a rise in price of the stocks of the company. These companies are notorious for reinvesting the profit and paying little to no dividend to stock owners. By doing so they hope that just the growth in stock price will be enough to satisfy the stockholders. Most of these companies are technological and they usually experience rapid growth over the shortest possible time. As the company grows, the stock prices also increases faster than underlying earnings. If the price for a share outgrows the growth of earnings for a long period of time, the stock experiences a major downturn. Because of this, I personally prefer value stocks over growth stocks. Market capitalization refers to how big a company is. By multiplying the number of outstanding shares by the current stock price, you can calculate the market cap. Investors are notorious for lumping companies together in accordance with market capitalization. Despite the fact that there is no universal agreement on the precise cutoffs, I personally prefer these values. Nano cap: Below $50 million. In stock pricing, the size of a company really matters because there is a strong correlation between size and risk. Small companies, as a rule, are far more risky than large companies due to availability of fewer resources, less well-defined market position, and are more susceptible to downturns of the economy. Most investors prefer to invest in common stock than preferred stock because of higher growth potential. Income stocks are attractive to retirees and other investors because it provides steady dividend payments. Most investors prefer common stock to preferred stock because it has higher growth potential. Value stocks which are traded at a lower price relative to earnings than growth stocks tend to perform excellently over an extended period of time. During periods of economic prosperity, growth stocks tend to perform well but perform poorly when the economy is in turmoil.